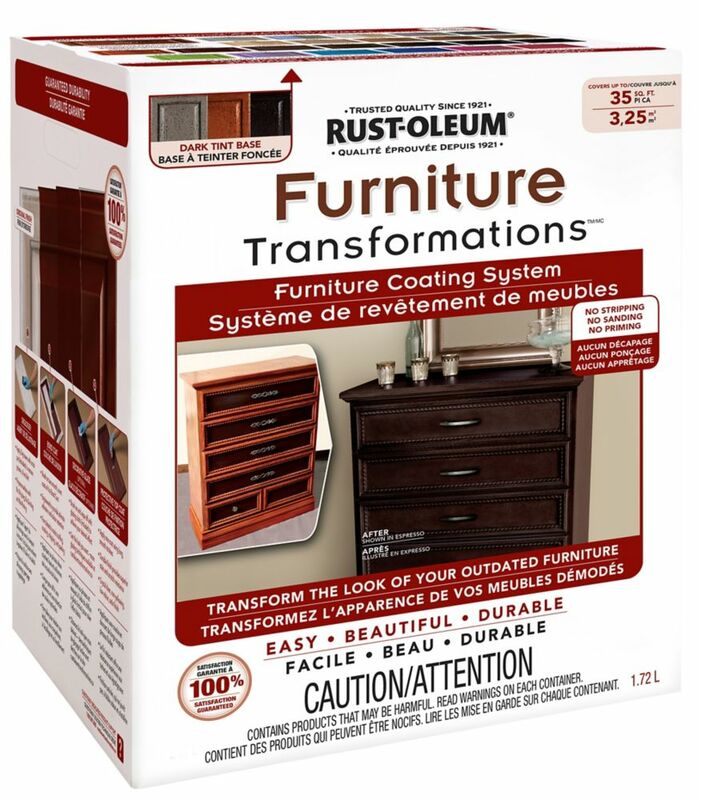 Rust-Oleum Furniture Transformations Furniture Coating System rejuvenates your worn, mismatched or outdated furnishings with a beautiful and durable finish. No stripping, no sanding, no priming. The tin table Bond Coat is available in 24 popular, on trend colors. Durable Top Coat provides a long lasting finish. Optional glaze allows you to create a custom look. Quick and simple application; soap and water cleanup. LeakSealis an easy-to-use flexible rubber sealant that dries to a semi-smooth, firm finish that will not sag or drip, and can be top-coated with latex- or oil-based paints. Furniture Transformations Rust-Oleum Furniture Transformations Furniture Coating System rejuvenates your worn, mismatched or outdated furnishings with a beautiful and durable finish.